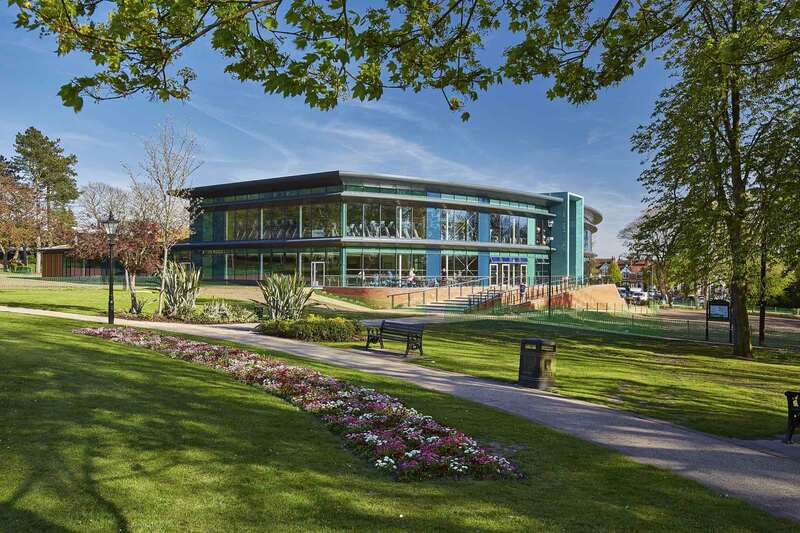 This major new build Leisure Centre is set within mature parkland in a conservation area, in the centre of Hinckley, adjacent to a Scheduled Ancient Monument and Grade II* listed buildings. The building was sensitively designed to enhance the park setting, opening up views through the site looking towards the town centre. The facilities in the new leisure centre include an 8-lane 25m swimming pool with movable floor and pool spectator gallery for 150 people, 15m x 10m studio pool with moveable floor, water play features, 8-court sports hall, 120-station fitness gym, 2 studios, group cycling studio, indoor adventure play, steam room and sauna, cafe and a suite of Council offices.